Starting this weekend, FloSports and the NFHS Network will partner together to provide elevated coverage and exposure of high school track and field and cross country state championships from around the country. The partnership will add in-depth video coverage on FloSports' track and field channels, MileSplit and FloTrack. 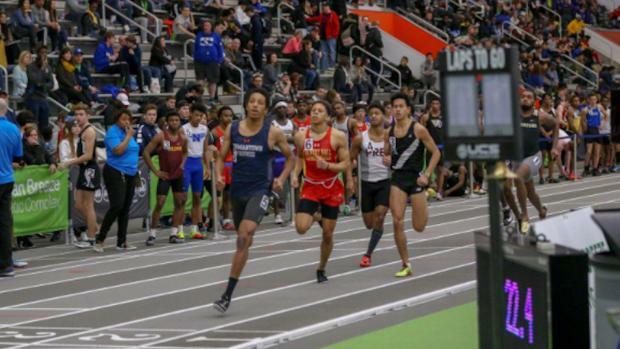 Through the partnership, MileSplit and FloTrack will add more than 70 live events to the 2019 schedule, including select state championships for indoor track and field during the winter, outdoor track and field in the spring, and cross country in the fall. Events will air through the end of 2019 and will feature athletes representing more than 30 states from Alabama, Arizona, California, Colorado, Connecticut, Delaware, Florida, Georgia, Idaho, Illinois, Louisiana, Maryland, Massachusetts, Michigan, Missouri, Montana, Nebraska, Nevada, New Mexico, New York, North Carolina, North Dakota, Ohio, Oklahoma, South Carolina, South Dakota, Tennessee, Texas, Virginia, West Virginia, Wisconsin and Wyoming. Streaming more than 10,000 live competitions per year, FloSports continues to emerge as the global leader in live, in-depth, and on-demand digital coverage for passionate sports fans. For more information, visit MileSplit.com and FloTrack.com.